How do I get a Glass? Why would a financially-strapped college student choose to donate? View previous senior class gifts. Anja Kenagy, Annika Detweiler, Claire Mitchel, Erin Bontrager, Ricky Gonzalez, and Vanessa Navarro. The 2019 class is raising money for the Goshen College Fund and the Student Aid Fund. You can also give to any GC department, club or organization of your choice (your major, your sports team, the international student club, etc). We hope all graduates will participate, no matter the amount, to ensure the success of programs and leave a legacy for future students. 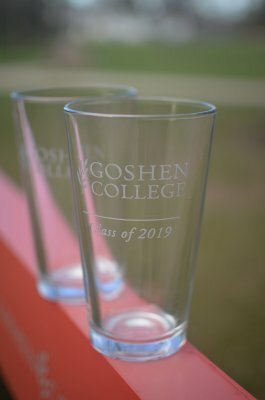 In 2019, for a minimum donation of $40, class-members will receive an etched glass. There are two options of glasses. One that has etched “Class of 2019” or second option with “Goshen College”. If you are in the first 36 to donate, you will have your choice! It’s time to think about the larger picture. 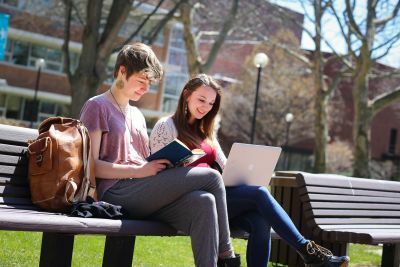 This is your chance to start investing into the education of future students here at Goshen College. We hope all graduates will participate, no matter the amount, to ensure the success of the program and leave a legacy for future students. The hope is that this is the first step in a lifetime of giving back. 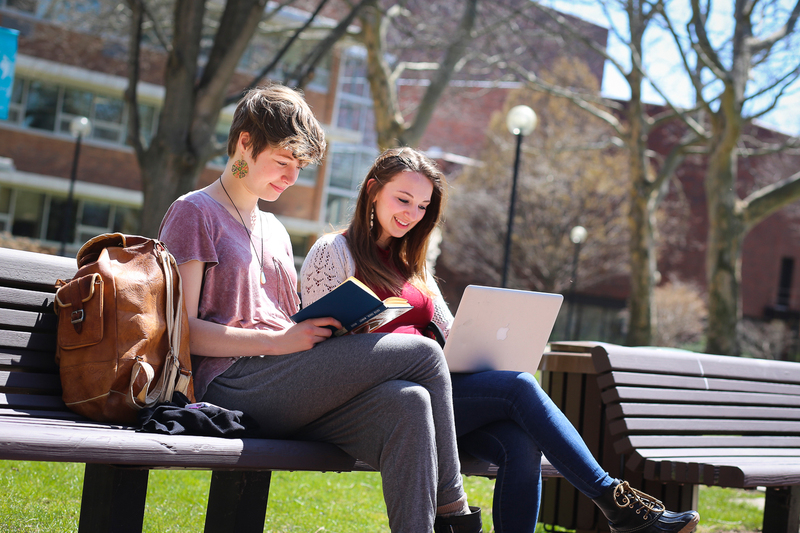 While you were a student you have been supported by alumni and friends of Goshen College. Now it is your turn to join the tradition of good stewardship. You can make a gift of any amount that is comfortable for you by cash, check, or credit card. If you have a small group housing deposit – you may apply a portion of it towards your gift. Gifts are welcome at any time but we will focus on gifts from graduates coming in this spring. The Class of 2018 donated $1,227, with nearly 23 percent of the class participating. The 2019 Class Gift Committee has an ambitious goal of 40% participation. Will you help us get there?